The death was not in any way connected with the incident. A TAXI DRIVER who issued a €60,000 personal injury damages claim against rock star Bono in the Circuit Civil Court, has died, it was learned today. Philip Bolger claimed the U2 singer had driven several times into the back of his taxi which had been parked in Eustace Street near The Clarence Hotel in Dublin’s, Temple Bar. Mr Bolger’s death was not in any way connected with the incident. Bolger sued Bono under his real name, Paul Hewson, and alleged Bono’s 2004 Maserati had struck his car three times at short intervals from behind. 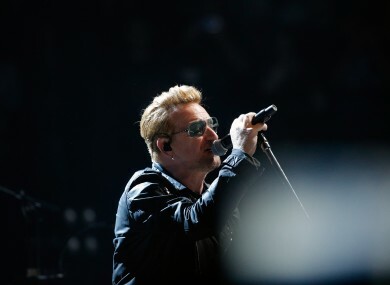 Bono’s legal team delivered a defence to Mr Bolger’s claim in which, while it is admitted a collision occurred at 10pm on 11 October 2013, denies that the taxi driver could have suffered the injuries he alleged. Hewson, of Temple Hill, Vico Road, Killiney, Co Dublin, states in his defence that the impact was minor and happened at a low velocity and claims he is not liable for any injuries. The singer also denies the details of “each and every particular” of the events alleged by Bolger. Bolger, of Oakleigh Green, Trim Road, Longwood, Co Meath, died on 15 November. He claimed in public documents seen by this website, that he had suffered immediate pain in his neck, shoulder and back following the collisions. Bolger also alleged in his Personal Injury Civil Bill that, after composing himself, he had driven his taxi to the front entrance of the hotel, which is owned by Bono and The Edge, to resolve the incident. He alleges bouncers refused to allow him in. The taxi driver claimed he attended the A&E of Navan Hospital in Co Meath and had needed to go to his GP three times in the two months following the accident, complaining of pain in his lower back, neck and arm. Bolger included a claim for alleged financial strain and hardship as his injuries had prevented him from working normal hours and he had to reduce activities, including kayaking, clay pigeon shooting and hill walking. As yet no application has been made to court to discontinue Mr Bolger’s proceedings or withdraw the case from January’s trials list. Email “Taxi driver in Bono personal injury dispute has died”. Feedback on “Taxi driver in Bono personal injury dispute has died”.